SEO For Photographers: How To Show Up #1 On Google Search! Show Up On Google: The step by step guide to getting found on Google and ranking your website FAST! How would you like to show up #1 on Google Search? Our SEO workshop for photographers gives you the step by step process to getting your website ranking on google search & exploding your website traffic. Better SEO = Way more visitors to your website. More people seeing your photography = MORE BOOKINGS! This is not a workshop for tech nerds or people with way too much time to kill. If you're looking for complicated & confusing coding tutorials or 75hrs of tedius tutorial videos, you'll be disappointed. Our SEO Workshop is about getting your website showing up in google search as quickly as possible, step by step. Every section is broken down in simple, step by step instructional videos. You don't need to be a coder or a computer hacker to apply these strategies - Just someone willing to do the work and invest in yourself. We've broken everything down to the most effective & simple steps possible to get your website ranking in google search. You can do it the hard way and spend years figuring this all out on your own - Or you can take the fast track from someone who has already done it. If you can answer “yes” to any of these questions, chances are this workshop is PERFECT for you. This workshop is designed for photographers. Not rocket scientists, computer coders or tech wizards. By the end of this workshop you'll have everything you need to show up at the top of google search. The first 100 customers will receive the entire course for just $75! Enter coupon code "RANKNOW" and save $122! We’re confident that what's inside our Google Search Workshop works. Take this course, apply what's inside and we GUARANTEE you'll see significant results! If for any reason you aren’t 100% SATISFIED with the results you see after implementing our ranking strategies… Simply show us how you applied the strategies but didn't see results within 30 days of your purchase, and we’ll give you all your money back. 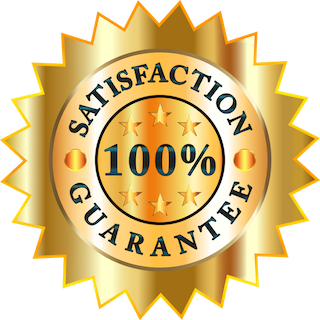 RISK FREE, HASSLE FREE, 100% GUARANTEED. There is literally NOTHING to lose. Pre Order Now and build the business of your dreams.